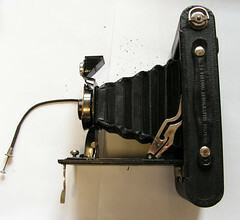 The Kodak No. 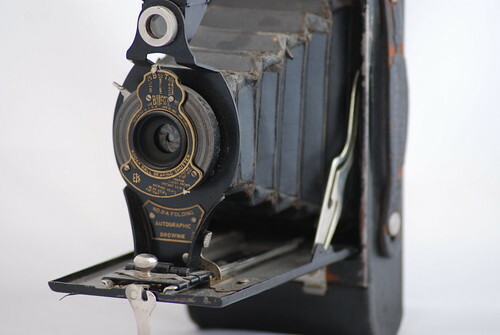 2A Folding Autographic Brownie was a folding camera for type 116 Autographic film . 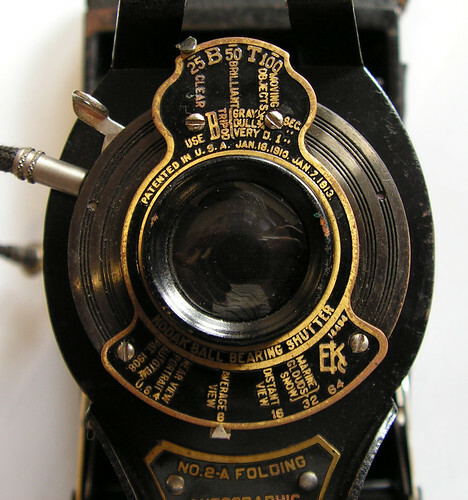 It was made by Canadian Kodak Co. Ltd in Toronto, Canada and in Rochester, NY, USA by Eastman Kodak Company. Shutter: Kodex no.1 shutter with speeds B, T, 1/25, 1/50, or Kodak Ball Bearing shutter with an additional 1/100s speed for "moving objects", as the shutter says. Lens: Kodar 122mm f/7.8. The 116 version was fitted with an f9 Bausch and Lomb rapid rectilinear.